Just as we pulled up to join the convoy of safari vehicles, the leopard we had been tracking jumped from his tree and sped off into the bushes. We just missed our moment. The setting was Krueger National Park in South Africa. I was taking my parents on a safari during their visit to our family. 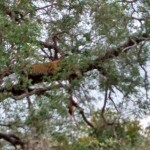 We had marked a tree in the park as a leopard dining area, having seen an impala carcass hanging from its branches. A fresh kill would surely give us our elusive leopard sighting. Our guide parked the vehicle and we waited. One by one, the other tourists departed for other pursuits. Our guide suggested we wait. How often in life to we miss amazing moments because we are in a hurry to our next appointment? Do we miss the gems life has to offer because we do not slow down enough to even notice? Carlos Whitaker, in his new book Moment Maker: You Can Live Your Life or It Will Live You, tells story after story of amazing events he and his family have encountered. Carlos is a fantastic tale spinner, keeping you riveted. The book weakens in the teaching parts, but the message comes through loud and clear. God desires us to be in a place where we can Make Moments. No matter how many ways or styles we say this in, it seems to be difficult to apply. As we sat waiting on safari, hoping to make a moment; the temptation was to not waste any more time, rushing off to our next sighting. Soon we were one of the only vehicles left. And Mr. Leopard made a return appearance. 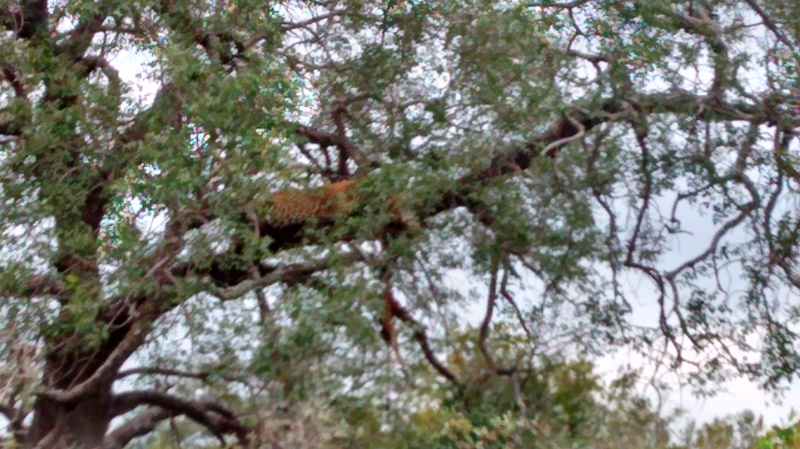 He leapt up into the tree and began munching on his Impala feast. You could hear the crunch as he bit through bone and tendon (I know it sounds nasty but it was so cool). A hyena settled in below to catch any tasty droppings. A moment had been made. Patience was rewarded with an unforgettable memory. We spent a long time just watching this spectacle of nature unfold before us. Will you make moments? Or will we succumb to the pressure of always being too busy? Taking pause throughout our days allows God to whisper something to our hearts. That whisper might lead to a memory or a life affected. What moment does God have for you today?